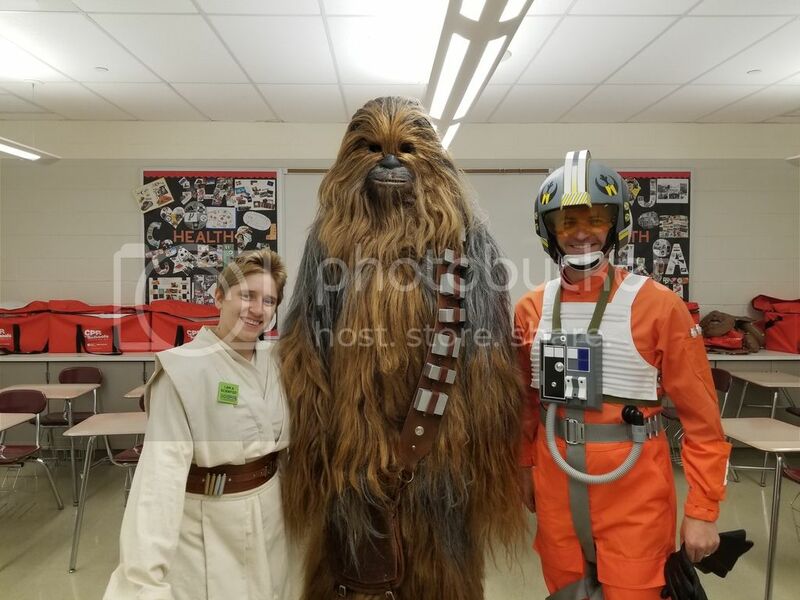 This was a Ghost Base event that was held at the Lower Merion High School in Ardmore that focused on kids in kindergarten to 5th Grade. This was a first time event for us and the hosts were extremely excited for us to be there. Day of event: I arrived extra early since I had a 4 hour layover in Philadelphia due to a previous troop I did earlier in the day. We were provided water for us to drink, some soft pretzels midway through our troop, and had a changing area right next door to our trooping area. 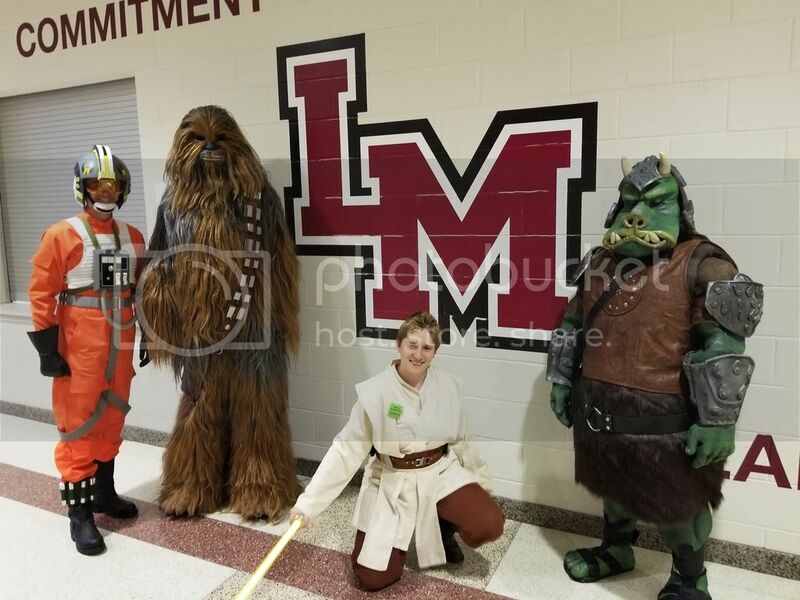 The event was broken up into two sides, a kindergarten to 2nd grade side which occurred in the main gym and some 3rd through 5th graders who were undergoing some stem challenges in the cafeteria located right next to the gym. We started the event posing for pictures at the entrance as people came into the event at 6:30 followed by moving between the two rooms as the event organizers directed us. 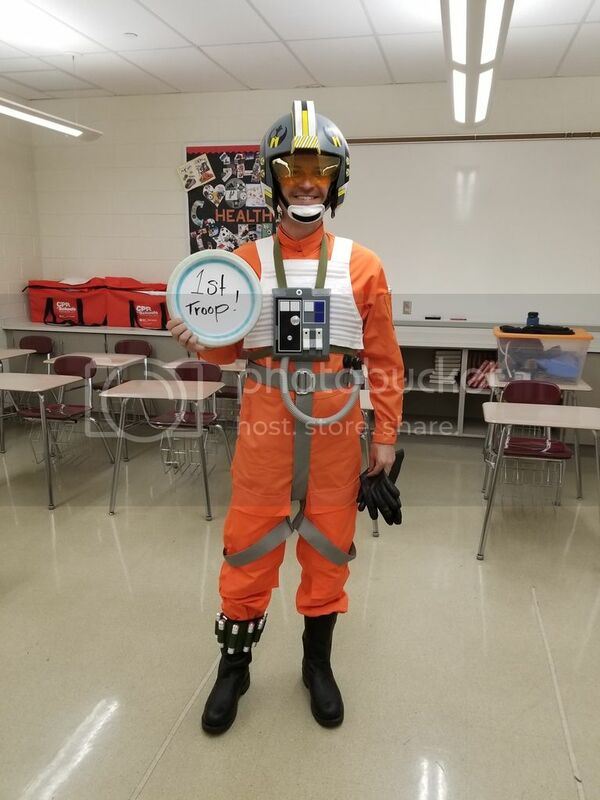 Sam, dressed as a Jedi, proudly wore a "I am a Scientist" pin, helping little kids through their stem projects. I walked around and mingled with kids and lightly interacted in projects as space and suit limitations allowed. As the event winded down we took pictures in the lobby area with kids. Total trooping time was about 1.5 hours. Everything seemed to go very smoothly. Joe, who offered to troop with us from Carida, was a little late due to traffic conditions in the area. He suited up about halfway through the troop and was a huge hit with the crowds. 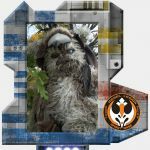 Special Note: this was Zachary's first Troop, and he hit it out of the park the first time.